The other day I received a phone call asking about doing a live evangelism training event for their church. doesn’t not do it a core practice (they don’t do it). Would my training be the same ole, same ole? Shameless plug: No. My training is different. My training focuses on cooperation with the Holy Spirit, rather than a slick sales technique. If there has been a lot of training but not a whole lot of praxis, then of what value is the training? Is it possible that the “why” we give is so weak that it doesn’t overcome the natural barriers to evangelism? Does evangelism training primarily focus on the how, or the should, or the theology, but never get beyond that? What difference does following Jesus make in our life? Stated another way: Can we talk about our personal faith? That’s the question from Unbinding the Gospel: Real Life Evangelism by Martha Gay Reese. The same question is featured in Hitchhiker’s Guide to Evangelism by William Tenny-Brittian. If we can’t talk about our personal faith, it’s value to us, and the vibrancy of it, then I wonder if no amount of training will suffice. The question for us as believers, and then for some of us a trainers — can we help you learn how to share the answer? It’s not a sales script, its a story unique to you. When it bleeds out of you: incarnation. The question is, how can our faith “bleed out of our fingertips and toenails” in such a way that we can’t help but talk about our faith? Is Jesus so precious that you want to tell someone about him? 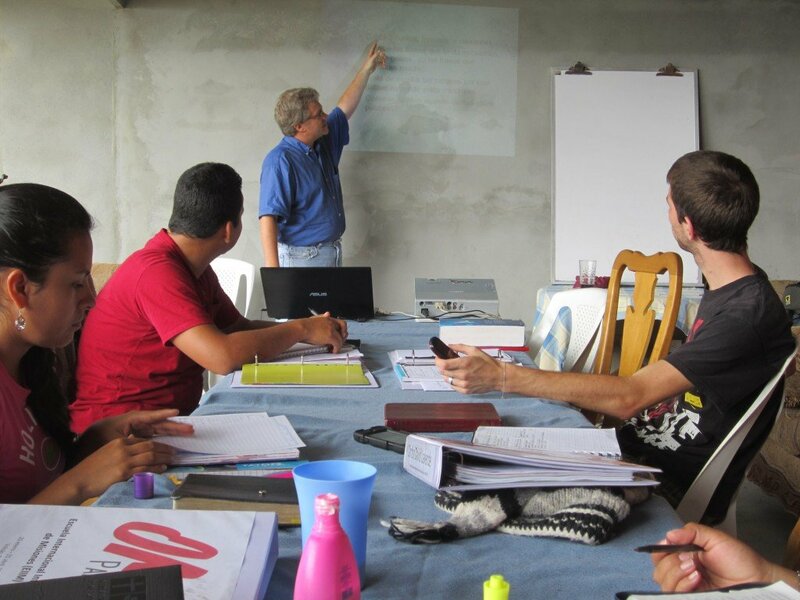 How can more evangelism training do that? I simply raise the question. I invite your thoughts in the comment box. Most evangelism training that I’ve experienced falls far short of bringing a person to the point of actually doing it… Why? Because it is laden with how to’s and guilt riden motivators! Your training is sooo very different, Chris. It goes back to matters of the heart and relationship with the lover of our soul. It brings me such joy to be part of your family’s ministry via prayer and giving.